History of head trauma with loss of consciousness preceding symptom onset by a maximum of 4 weeks. A history of head trauma that has caused significant cerebral concussion. Note: The manifestations of concussion include loss of consciousness, posttraumatic amnesia, and less commonly, the post-traumatic onset of seizures. The specific method of defining this criterion needs to be established by further research. Evidence from neuropsychological testing or quantified cognitive assessment of difficulty in attention (concentrating, shifting focus of attention, performing simultaneous cognitive tasks) or memory (learning or recall of information). The symptoms in criteria B and C have their onset following head trauma or else represent a substantial worsening of pre-existing symptoms. The disturbance causes significant impairment in social or occupational functioning and represents a significant decline from a previous level of functioning. In school-age children, the impairment may be manifested by a significant worsening in school or academic performance dating from the trauma. The symptoms do not meet criteria for Dementia Due to Head Trauma and are not better accounted for by another mental disorder (e.g. Amnestic Disorder Due to Head Trauma, Personality Change Due to Head Trauma). Studies suggest that 21-59% of paediatric patients (age 18 and younger) who experience concussion will develop persistent symptoms lasting longer than one month. Some of the most common and debilitating symptoms experienced by patients after a concussion are those involving dysfunction of the oculomotor and vestibular systems. Studies have shown that post traumatic headaches (PTH) are one of the many symptoms of PCS. PTH are more prevalent post mild TBI, AKA concussions. These headaches usually resolve within the first 3 months of injury, although some develop chronic headaches. - nuchal occipital, parietal, temporal, frontal, periorbital, or retroorbital distribution (greater form) or lateral/around the ear (lesser form). -Often described as unilateral throbbing +/- pressure-like pain, originating in the Occipital region, then radiating anteriorly to the Temporo-parietal areas. Other Risk Factors identified in the literature: Age, gender (female), previous concussion, previous migraine, loss of consciousness at time of injury. Vestibulo-ocular clinical exam: Involves standardizes techniques such as the evaluation of extra-ocular movement, smooth pursuits, near-point convergence (NPC), horizontal and vertical saccades and the vestibulo-ocular reflex (VOR). In addition to vestibular and visual dysfunction, other potential causes of persistent dizziness can include cervical spine dysfunction, post-traumatic migraine, and autonomic dysfunction. 25 item questionnaire measuring self-perceived disability due to unsteadiness and dizziness. Items are scored from 0-100, with higher scores indicating a greater perceived level of disability. Clinically significant change = 18 or more. 16-item questionnaire in which patients rate their confidence in their balance during activities of daily living. Items are scored from 0-100, with 100 being complete confidence that they will not lose their balance during a task. Increased risk for falls = score of 67 or less. 22-item questionnaire requiring patients to rate various symptoms of concussion, vestibular and otherwise, on a scale from 0-6. Condition-specific, 15-item questionnaire which assesses a patient’s perceived severity of vertigo symptoms over the past month. The scale measures the frequency of vertigo, imbalance, dizziness, and other autonomic and anxiety-related symptoms. Scored out of a total of 60, higher scores indicates increased symptom severity. When symptoms of concussion such as dizziness, vertigo and imbalance fail to recover spontaneously, vestibular rehabilitation can be used effectively to aid in the normalization of a patient’s vestibular responses. Vestibular rehab involves the use of specific exercises that aim to alleviate symptoms of vestibular dysfunction, as well as improve balance and the overall function of the patient. Dynamic Gaze Stability The ability to maintain focus while the head is in motion, controlled primarily by the vestibular ocular reflex (VOR), cervical ocular reflex (COR), smooth pursuit and optokinetic responses. Impairments in the VOR are often seen after an injury to the vestibular system. Binasal Occlusion (BNO). Partial occluders (scotch tape, nail polish, or electrical tape) can be added to spectacle lenses to suppress abnormal visual motion in the peripheral field. In patients with Visual Motion Sensitivity (VMS), BNO can improve both subjective visual perception and objective performance with sensorimotor tasks. It is important to clear patients of Benign Paroxysmal Positional Vertigo (BPPV) prior to beginning vestibular rehab exercises, as it can have its own effect on a patient’s balance and is treated with a specific repositioning protocol. Patients should also be screened for cervicogenic dizziness (symptoms caused by cervical spine dysfunction, which should be relieved with manual cervical traction). Many mTBI patients require very basic visual targets. ↑ 5.0 5.1 5.2 5.3 5.4 5.5 Ellis MJ, Cordingley D, Vis S, Reimer K, Leiter J, Russell K. Vestibulo-ocular dysfunction in pediatric sports-related concussion. J Neurosurg Pediatr. 2015 [cited 2016 May 31]; 16:248-255. ↑ 11.0 11.1 11.2 11.3 11.4 11.5 11.6 Gurley JM, Hujsak BD, Kelly JL. 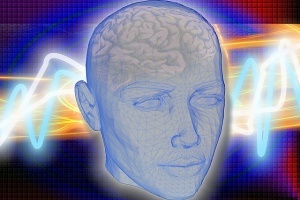 Vestibular rehabilitation following mild traumatic brain injury. NeuroRehabilitation. 2013 [cited 2016 May 31]; 32:519-528. ↑ Jacobson GP, Newman CW. The development of the Dizziness Handicap Inventory. Arch Otolanryngol Head Neck Surg. 1990;116:424–427. ↑ Powell LE and Myers AM. (1995). "The Activities-specific Balance Confidence (ABC) Scale." Journals of Gerontology. Series A, Biological Sciences and Medical Sciences 50A(1): M28-34. ↑ Aubry M, Cantu R, Dvorak J, Graf-Baumann T, Johnston K, Kelly J, et al. Summary and agreement statement of the First International Conference on Concussion in Sport, Vienna 2001. Recommendations for the improvement of safety and health of athletes who may suffer concussive injuries. Br J Sports Med. 2002 Feb;36(1):6-10. ↑ Dannenbaum E, Chilingaryan G et al. Visual vertigo analogue scale: an assessment questionnaire for visual vertigo. J Vestib Res. 2011. 21(3): 153-159. ↑ Yadav NK, Ciuffreda KJ. Effect of binasal occlusion (BNO) and base-in prisms on the visual-evoked potential (VEP) in mild traumatic brain injury (mTBI). Brain Inj. 2014 [cited 2016 May 31]; 28 (12): 1568-1580.